How, oh how was I to complete this one? "Get a star named after you." Everyone said, unfortunately as an astronomy nerd I know how little they actually mean. For the record (and I hate to completely ruin the romance here) all those star naming companies, are basically not worth the paper they are written on. A Rose - Your own personalised variety of bloom from World of Roses, coming in at around $1500. A New Species - A long and expensive process, but it's getting a new species named after you from Discover Life in America, costing anywhere from $2500-$10,000. A New Spider Species - Now I could no longer find the details of this, which means it may be off the table, but apparently at one stage the Queensland Museum was offering this for a price tag of $5125. A Star - I talked about this just before, but they have no ties to the IAU (International Astronomical Union), read more here. and lastly, a Mathematical Theorem - which was the way I ended up going due to the interesting nature and the great value price tag, $24. 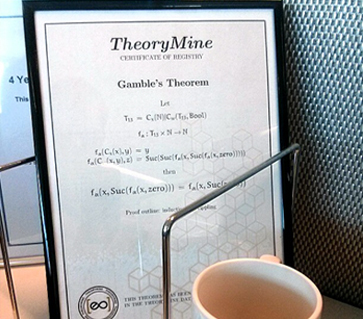 So after some initial investigations of the website and research into the specifics of what a theorem actually is. 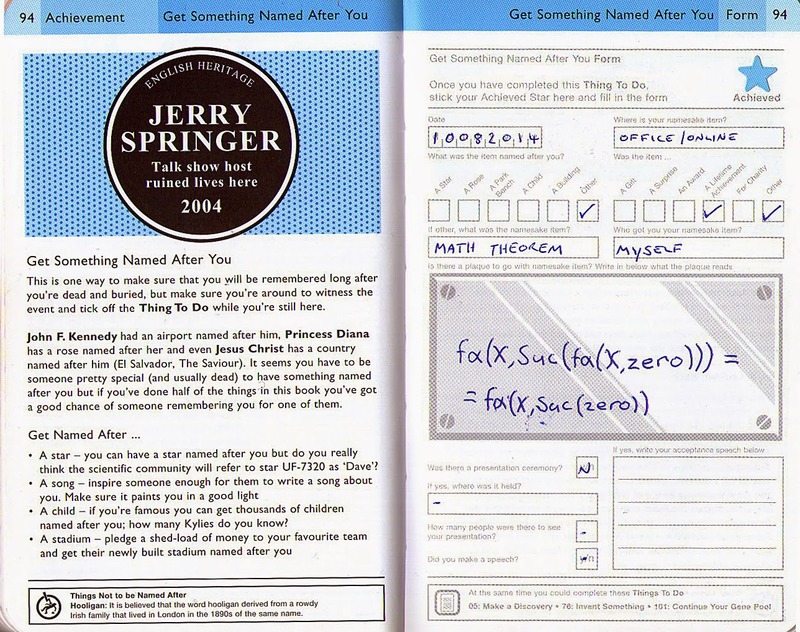 I paid, picked a name and waited the two day waiting period while the system generated the mathematical theorem. So What it meant I have no idea haha, although they did send me a instructional on what it meant and how it works but I'm still struggling to translate some of the components in relation to the outline: Induction and Rippling. I've attached both the certificate and the instructional below so if you wanted to have a crack or want to help me understand it, that would be greatly appreciated. 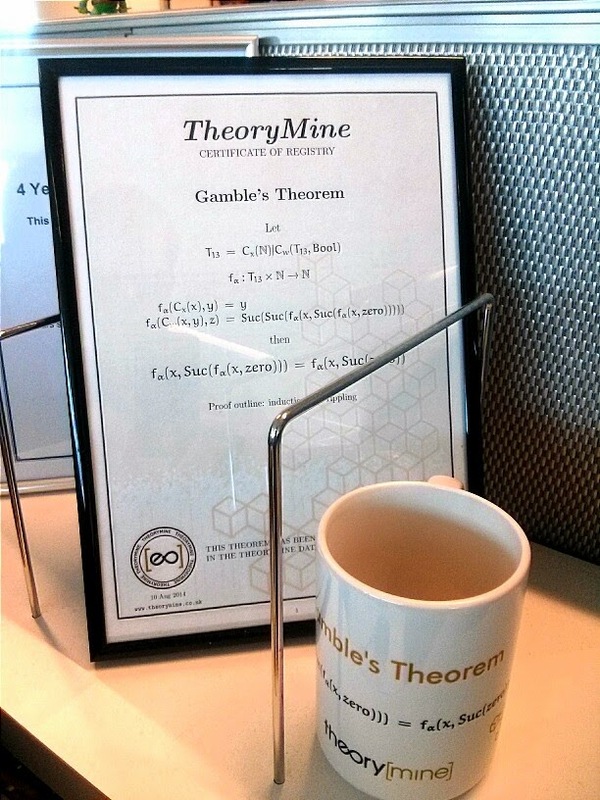 But apart from that, I framed the certificate and ordered the mug with the theorem printed on it and popped them up on my office desk.